Have you ever come across the phrase 'a clocked car' and simply nodded in agreement, without really understanding what it meant? What is a clocked car? In simple terms a clocked car is one that has had its displayed mileage intentionally rolled back to increase its value and desirability. In a handful of cases clocking can be done accidentally, when dashboards or speedometers are repaired or changed over, leading to an inaccurate display of mileage. In most instances, however, it seems it is done simply to deceive the buyer and to get more money for the car. Have I bought a clocked car? Clocking, which is done either by physically changing the position of the digits on the milometer, or by re-programming the display with a computer, has affected hundreds of thousands of cars in the UK. Some models, like recent BMWs, will display a tamper dot on the LCD counter to indicate a discrepancy between dashboard and ECU, but even that isn't a foolproof test. 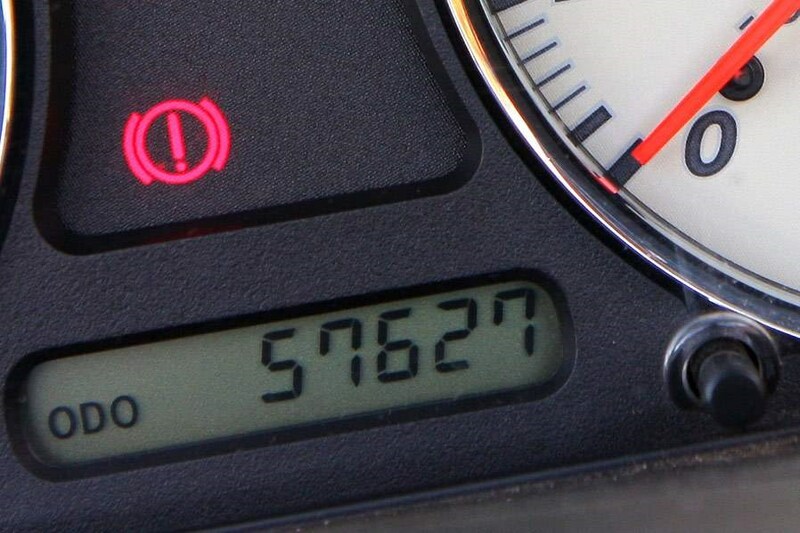 Mileage correction services are often advertised for sophisticated modern vehicles that can store the mileage in more than one location - and as such alterations to the odometer can be done with no physical trace, how can you tell if the car you're looking at is actually showing a genuine mileage? Parker's has rounded up the best ways to identify if you're looking at a clocked car, so you don't get a nasty surprise later on. This will show the recorded mileages and it will flag any issues if they exist - as well as telling you whether there's any outstanding finance, previous crash damage or theft warnings. Some of these checks also offer insurance so if you do later discover that it's been clocked you can get compensation. The mileage is recorded at every MOT so look through them and make sure that there are no odd gaps or points where the mileage for one year is lower than previous. Keep an eye out for any odd changes in usage too - if the car was previously doing 20,000 miles a year for five years, why did it suddenly only do 1,000 the next? If there aren't any old MOTs with it you can also check online using the registration number - before even viewing the car - to see the past recorded tests. The mileage should be listed at each service in the service book or paperwork. As well as showing how well it's been looked after, you'll be able to see whether the mileage rises correctly over time. Don't take the service history at face value though, as it's easily falsified. Check further by ringing the garages that performed the services, if needed. Cars are generally well built these days so it can be tricky to judge the miles on condition alone but it is a good indicator. Inside you're looking for things like worn steering wheels, seats, pedals and switches. On the outside you want to make sure that there's been no fresh paint to cover up stone chips from motorway miles and don't be tricked by a shiny car, have a close look at it for any unusual wear or tear. If you can, drive several examples of the same car so you can get a good feel for what one should drive and ride like - and listen out for any odd clunks, rattles or groans from worn-out components that have covered more miles than the seller suggests. Don't forget that a clocked car is likely not to have been serviced properly so parts like the cambelt could be overdue and ready to break, causing expensive damage. Lastly, when it finally comes to buying a car, don't be afraid to ask questions or to walk away if you're not happy. If you're buying from a dealer make sure that there is no disclaimer in their paperwork that states that the mileage is incorrect and not to be relied upon. When’s the best time to buy a car?